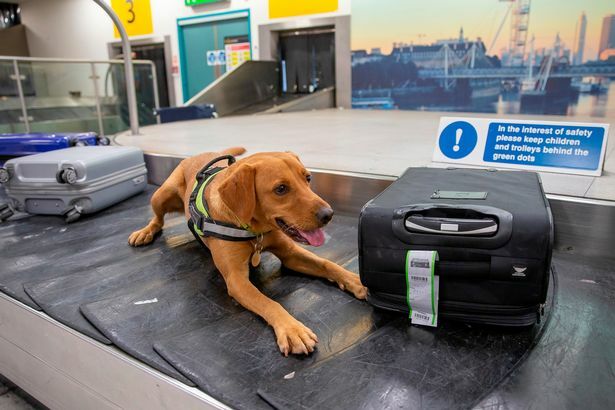 Honey the sniffer dog freezes and goes ramrod straight as drug busters ­collar another smuggler. 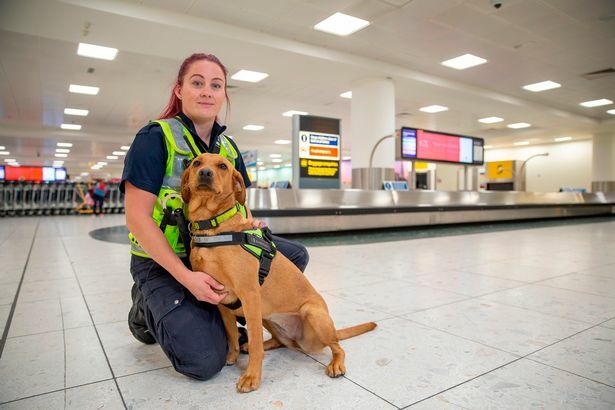 The labrador’s reactions as she detects cocaine are unmistakable and her efforts have helped put Border Force teams on course for a record haul. In 2016-17 they nabbed more than 4,500 kilos of the Class A drug with a street value of £450million. That was up 28 per cent on 2015-16. But a string of major busts has already seen 4,000 kilos seized since April. A whiff of a Class A substance and she is on it in a flash. She also mingles with passengers at luggage carousels to unsettle what Border Force Assistant Director Chris Capel calls the “wrong ’uns”. Officers monitor the reaction of passengers and pounce on those who look suspicious when they try to clear customs. It could be tell-tale perspiration on an upper lip or something as innocent as scuffed shoes which look out of place with an immaculate suit. 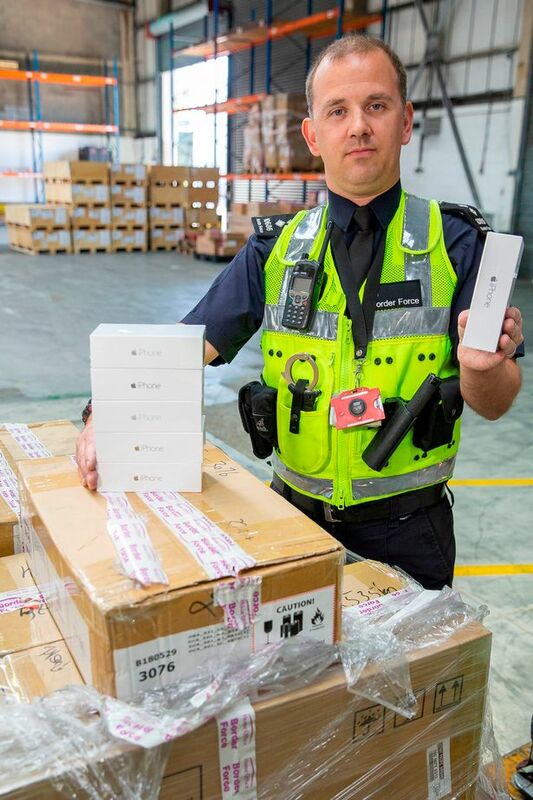 Smugglers who swallow cocaine – “stuffers” as Border Force call them – can be detected by X-ray but offer a different challenge. They can hide £100,000-worth of drugs in 60 plastic pellets which won’t burst. And it takes a time-consuming three bowel movements before the “cargo” is offloaded. The really big finds come in ingenious hiding places in cargo shipments. Border Force was created in 2012 by then Home Secretary Theresa May to combine the roles of customs, immigration and passport control.